Murder by Gaslight: Her Miserable End. 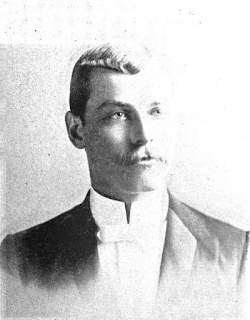 James Hartig, a watchman at the Massapoag House in Sharon, Massachusetts, traveling from the hotel the morning of December 5, 1885, discovered the body of a young woman lying on the muddy road. He notified the authorities, and Chief Wade of the district police sent two officers to investigate. Snow had fallen the night before up until 11:00 when the snow turned to rain. Under the body was snow, while all around it the snow had melted, indicating the body had been placed there the previous night. Articles of her clothing appeared to be missing, and the officers searched the area for them. An autopsy determined that she had died from a broken neck that could only have been caused by a violent bending of the head forward. There were no other marks of violence except on her legs which appeared as though the body had been dragged over the ground some time after death. No one in Sharon recognized the dead woman, so her description was published in newspapers throughout Massachusetts. On December 7, Officer Abbot of the Boston Police Department arrived in Sharon with a woman who believed she knew the victim. Officer Abbott’s companion instantly recognized her as Carrie Lee, alias Carrie J. Loring, whose real name was Carrie Whitney. She said if they examined her left forearm they would find an India ink tattoo of the initials “C W” and a star. The arm was stripped, and the marks were found as described. In the days before her death, Carrie Whitney had been seen wandering aimlessly in Boston, and her friends were concerned about her mental state. She left Boston at around 7:30 that morning, saying she was going to Malden to visit a friend but she bought a ticket to Hyde Park, in the opposite direction. There she asked the telegraph operator for directions to Mill Village. Without enough money for a train ticket, Carrie began walking down the track. She was seen in Readville at around 1:15 and in Canton Junction some time after 3:00; in both places, passing trains had whistled to warn her off the track. The station agent in Sharon saw her walk past at around 6:30. The neighborhood where the body was found, known as Vienna, had an unsavory reputation. Police searched the area for missing items of clothing and as the search area widened they had some success. They found her hat in a pool of water half a mile away from the body. They searched the pool very thoroughly and found nothing else, but the next day they found one of her rubbers in the pool. Similarly, her second rubber was found in an area that had previously been searched. They found a white underskirt, identified as Carrie’s, around a mile away from the body. The police believed that the items had been deliberately planted to direct their attention away from Vienna. The police concluded that the body had been dragged to the road from somewhere else in Vienna and that more than one man had probably been involved. James Sheehan, one of the disreputable residents of Vienna, was known to have been walking the railroad tracks outside Sharon the evening of December 4, and very likely crossed paths with Carrie Whitney. Sheehan could not be questioned because he left town the following day. James Sheehan was briefly considered a suspect in the murder, but there was no evidence against him, and no further clues turned up. The furor around Carrie Whitney’s death died down, and it appeared unlikely that the circumstances of her death would ever be known. Then, more than a year later in January 1887, Edward Greenleaf, a former resident of Vienna, lying on his deathbed in the almshouse, decided to confess. His real name was Edward Greenleaf Trefethen, but his family had disowned him for his drunken habits, so when he settled in Sharon he dropped his last name. The police had previously questioned Greenleaf and learned nothing, but as he lay dying of consumption he was ready to tell all. Before his death, Greenleaf made his confession to Mrs. Mary Wilbur, who wrote it down and took it to the police. Greenleaf said that he and three other men saw Carrie Whitney walking up the track at about 7:00. They conversed with her then they “half persuaded and half forced” her to accompany them into a barn near the railroad crossing at Vienna. He said she was hungry and tired and did not seem to be in her right mind. They took her up into the hay mow, and she began to resist; in the scuffle that followed she fell or was thrown from the hay mow and when she hit the ground, she died of a broken neck. The men waited until midnight, then dragged the body to the road. As the police had suspected, the men planted the articles of clothing to divert suspicion from Vienna. The names of the other three men were withheld while the police investigated the matter. 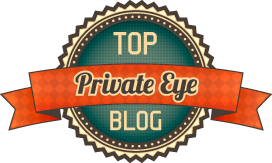 Several days later the names were released, the were Harry Peach, Hiram Beals, and James Sheehan—who had been an early suspect. All of the men emphatically denied any connection to the woman’s death. Despite the fact that the confession aligned closely with details uncovered by the police investigation and that allegedly Greenleaf had information known only to the investigators and the killers, the police were satisfied that the statement given to them by Mrs. Wilber had no foundation. No arrests were made, and the cause of Carrie Whitney’s death remains officially unknown. 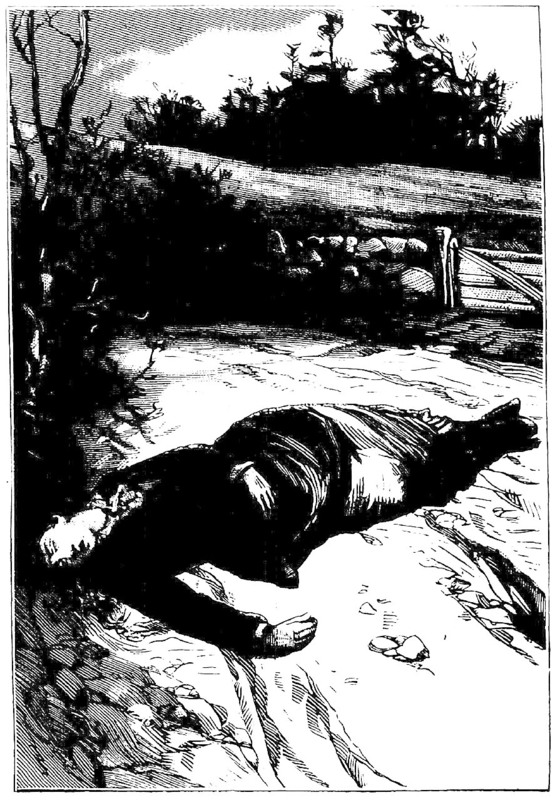 “Her Miserable End,” National Police Gazette, December 26, 1885. “Murder of Carrie Whitney,” Boston Herald, January 8, 1887. 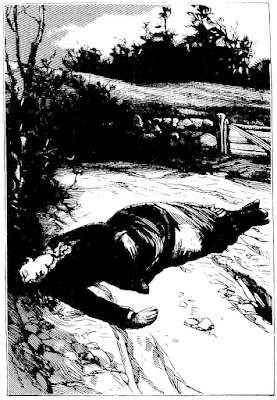 “The Murder of Carrie Whitney,” Boston Journal, December 9, 1885. “Mystery Of A Murder Solved,” Springfield Republican, January 8, 1887. “New England News,” Boston Journal, December 8, 1885. “Norfolk County,” Worcester Daily Spy, January 12, 1887. “The Sharon Murder,” Boston Journal, December 8, 1885. “The Story of a Tragedy,” Worcester Daily Spy, January 8, 1887.